IMPORTANT NOTE: I went to a session about managing the paper load in AP courses at the convention in Las Vegas in 2013, and a presenter shared different strategies for having students write more, but grade less. This session was packed, and rightfully so. We all left with a wealth of ideas, and I wish I could find the handouts to provide proper credit–I believe they were safely stored in my AP school box that went missing between our Houston to Chicago move. If this was your session, you are a goddess! (Also, please message me!). Right about now, the stretch after spring break into AP exams, I find myself wanting to provide students with as much practice writing as they feel they need to be confident in transferring their skills to the exam in May, but not bog myself down with essays upon essays to review as the weather becomes warmer and the days are longer. Enter “Essay Edit Rotations,” a way to include timed practice but not grade every piece. There are two simple components to this instructional pacing. Part 1: Students write. Part 2: Students learn more about how they write. Here is how the rotations work: Set aside one day a week for a timed writing session. Students come in and write, then those timed drafts are collected and reviewed for trends/misunderstandings, but not scored. Repeat this over the course of four weeks, so students have four essays in total to edit. That is Part 1: students are practice writing without grades. Part 2 involves editing those drafts from Part 1. I provide students with the same number of options for how to study their writing as they have timed writings and typically set aside 3-4 class days to dig in. Students select which edit to apply to each one of their essays, “rotating” through their pieces, with one of the timed writings is always revised and typed to be scored by me for a stand-alone AP grade. You can tailor the prompts/essays to what your students need practice on, just as you can create as many different edits as you need and scaffold over the course of the year. Scored Second Draft: Students edit, revise, and rewrite one essay to be submitted as a stand-alone AP score, graded by me. I typically always ask students to complete this edit. Reflective Annotating or Writing: Students can utilize a rubric or create a +/delta chart based on their noticings. Often, I ask students to assign themselves a score based only off the adjectives used on the AP scoring (see below). Analyze the Components: Students color code and highlight each element of their essay (i.e. : Claim, Evidence, Analysis, Transition) to understand how they are layering their ideas by reflecting on the visual structure, as well as the ratio of evidence to analysis. Grammarly: Students can upload their essay (requires typing) and receive feedback. I typically have students reflect over the commentary and identify trends and next steps for implementations. Focused Revisions: I am pinpoint a specific area we have been playing with, such as varying our syntax for emphasis or upgrading our diction, and ask students to only revise those elements. Bella used one of her Book Club prompt responses to complete an edit focused on diction and syntax. Students are asked to highlight every other sentence, list the first word of each sentence to note repetition, count the number of words in each sentence, determine their evidence to commentary ratio, find transitions, and a myriad of other tasks to understand how they craft their responses. While tedious, this edit creates discussion points for amazing conversations! You can browse a wealth of recent Three Teachers Talk ideas around editing here, here, and here! Oh, and earlier this week, too! Low stakes writing practice: Students practice in a timed environment, but know they will have a chance to review and edit their essays. This workshop approach to the timed writings becomes about the edits and what students learn from their writing versus what is produced within 40 minutes. Students are writing more than we are grading: As only one of the essays will be graded by the teacher, after revision, students are benefitting from writing practice yet we are not grading each one (I do complete a quick review the essays after each writing period and provide feedback, usually in a +/delta format, before they write again). Students understand themselves as writers: Test writing is different from regular writing. There is a rubric, yes, and a goal, but there is also pressure. With the opportunity to edit, students can gain insight into their habits when they write for this purpose and make improvements accordingly. Students also have the autonomy to select what edit to apply to their writing, curating their learning. Builds skills for test transference: Timing is often the most anxiety-inducing component of any standardized test. Students can practice writing coherent, intriguing ideas within 40 minutes safely so they can find their rhythm before exam day. Creates space for writing conversations and conferences: I typically have students do their editing in class over 3-4 days so students can ask questions, work with their peers, and meet with me. It feels like a true writer’s workshop with students tinkering away, shuffling through multiple colored pens, highlighting, adding post-it notes, and conversing with peers. In the past, I have had students practice Part 1 with the same style of open response question, mixed up the questions, given students choice over what question they practice with each week, and have done a full exam using the three prompts over the weeks. After that round, students assigned themselves a formative score to use as a conference conversation to set goals for moving forward. I have also implemented this during the fall when AP writing seems scary to students, in the middle of the year for review, and in the spring for low-stakes practices. Every time, these Essay Edit Rotations work like a charm. So thank you to the amazing writing teacher who presented in 2013. You have saved me hours upon hours and fostered conversations around writing in my classrooms around the country. Thank you. Maggie Lopez is saying goodbye to ski season and hello to spring in Salt Lake City while keeping her juniors focused with choice reading, low stakes writing, and student-driven conversations as we build to the end of the year. She just finished Everybody’s Son by Thirty Umrigar, an NCTE conference find, and began Tayari Jones’ Silver Sparrow yesterday. You can find her on Twitter @meg_lopez0. Prior to starting a round of Book Clubs with my AP Lit students, I questioned what would be a “just right” accountability fit for my very different first and fourth periods. Third quarter always hits juniors hard. It is a reality check that changes are ahead. It seems to be the time students are in full swing with clubs, theater, sports, and other projects. My students are invested in their independent reading, with many switching between texts they can use on the exam and fun YA selections, and developing reading identities. My students are also chatty and friendly–Book Clubs seemed like a perfect fit at this point in the year. But how to keep students accountable in a non-punitive way when they’re already overbooked. I thought about my goals for the Book Clubs, which extended far beyond adding another text of literary merit to their tool belts for question three. I wanted them to read, to engage, to think. For students to have fun meeting together to discuss books like adult readers do. For some, a bit of accountability helps spur their reading and processing. I have many students who like to document their thinking with annotations or dialectical journals and be rewarded for their visual thinking. I understand that. For others, a bit of accountability becomes a chore that interferes with their engagement. Students have reflected that tasks associated with reading pull their focus away from the text and onto the assignment. I get that, too. I have been ruminating over my grading practices this year, taking notes on what is helpful and what can change next year as we progress, seeking practices which keep students accountable in non-intrusive, authentic ways. Letter grades in the English classroom can be tricky. Our content lends to subjectivity when grading. Add in the pressure for college-acceptable GPAs and authentic learning can be lost in the quest for an “A.” It can be difficult to accurately measure understanding, as well as the more essential habits for success beyond our classrooms–effort, improvement, depth of thought and questioning–with five letters. I am trying to shift from grades and points to accountability, effort, revision, second-laps, and reflection as tools for building skills and taking risks. I want anything I evaluate to have meaning and to be balanced by a lot of low stakes participation, effort, and reflection. Book Clubs are like independent reading, just a bit more social. Why grade it with check-listy parameters? I wanted students to read, engage, and think with one another. To come to the table with questions, thoughts, and connections, like a college student would. To process challenging books together, like an adult book club would. So I decided I would assign no accountability checks. Nothing. I only asked students to be accountable to one another, as adults would be in a “real” book club each week, with the schedule they set. Knowing they wouldn’t be receiving a tangible grade or reward, I was concerned students would see this as an invitation not to read deeply, or that some wouldn’t feel invested in the payoff. However, my hope that our months of community building and sharing in reading experiences as readers outweighed my tinges of fear. Why not step aside and set them free? I gave Thursday’s class period over to the Book Clubs and student-driven conversations with the ask that students use the class period to process together. There wasn’t a lull in conversation on Thursdays. Student groups chatted with each other while I circulated and enjoyed their voices and insights. I wasn’t roaming the classroom with a clipboard or checking an assignment in while half listening. I was a floating member of each club (hence why there are no pictures accompanying this post!). I noticed there were discussions about the gray areas of the books, like what is the Combine Chief Bromden references and what the heck happened to Nurse Ratched to make her the adult she is in One Flew Over the Cuckoo’s Nest. I noticed the crew reading Ceremony worked to make sense of the non-linear structure and researched the myths of the Laguna Pueblo people. Readers of Brave New World connected the text to Oryx and Crake, a summer read, as well as our world. Readers of The Road hypothesized on the events before the book begins. Many students annotated their books, kept a notecard of questions to ask one another, took notes during the meetings, and referenced the text throughout their discussions. There was no need to dangle a carrot in front of their noses or keep track of data to issue a grade. Students did the work because the elements were there: choice, time, conversation. They made meaning together, employing the habits developed throughout the year while practicing being adult readers–readers who read, engage, and think in a realm where there isn’t official accountability to turn in. I’m not sure what my digital gradebook categories will look like next year, what practices and procedures I will put into place to promote authentic accountability, but I know I will challenge myself to step aside more often, to trust students will do the work if the environment is right. Maggie Lopez is entering the fourth quarter in Salt Lake City upon returning from spring break. She is currently reading Hitler’s Furies by Wendy Lower. You can find her at @meg_lopez0. Okay, I stole the inspiration for this post’s title from the late, great Bob Ross, but if the tree (or daffodil) fits, then I’m good with sappy wordplay. AP Literature can feel dark at times because many of the texts we read deal with death, loss, and desire. That’s why I look forward to the beauty and humor found in our texts and with each other in our class. The Romantic literary era provides wonderfully rich, dark, gothic themes, but it also provides opportunities for students to think about how they connect with nature and beauty. Often, it reminds them that they’re not taking time to relax, reflect on beauty, or enjoy some downtime away from small screens. We analyzed the poem together, noting its craft and themes. We discussed a variety of ideas: the few visible stars in our city’s night sky compared the multitude of stars that can be seen in the country, how the simple experiences in life can be the most profound, and the importance of having a “happy” or safe place. I shared two prose pieces about happy places of my own, and the students analyzed the craft in those. We discussed the literary devices present and their effects in the piece. They talked about the song lyrics woven into “Funkytown” and how the diction becomes darker as I leave my “happy place” – the roller rink. They talked about the sibilance in “Whither Thou Goest” that correlates with the river that winds like a snake below the mountain, the color imagery, and biblical allusions. It is always magical when we write with our students, and the fact that I shared myself with them made them feel more comfortable to write honest pieces of their own. Ultimately, I challenged them to write about a literal or figurative “happy place” of their own. It could be a physical place or a state of mind. I challenged them to play with language. There was no length requirement, but they were to label 5 different literary devices they employed. Just as I weaved song lyrics through one of my pieces, some students incorporated poetry, lyrics from a musical, and even lines from a movie into theirs. Others preferred more straight-forward, concise prose. Some wrote very poetic prose. In every case, however, their voices shone! The results were some of the best writing I’ve read from them all semester. The next step is to discuss how they can use their voice and their writing strengths in their academic writing. I once heard an AP Literature teacher say that there was “no time to have students write their own poetry in the course” and that worse yet, he’d “have to read it.” I have always felt sorry for that man. In my experience, it is the best way for students to find and hone their writing voices, learn about literary devices in an authentic way, and for teachers to foster a love of writing in their students. With the next mentor-inspired text, I will have them analyze their own writing. I do not feel at home in Texas. The land is flat, the weather is tourettic; these gargantuan skies transmogrify from benevolent baker to dekiltered, frenetic assailant mile by mile, hour by hour, even. I take it back: I appreciate the tumult above the flats of Texas. It compensates for the, well, flatness. I could go on and on about how I would rather adore the rapturous peaks of my birth state, Colorado, how each and every inch stirs within a kindred connection that I experience nowhere else in the country. I could go on and on about how the saltine winds along the coasts of Washington corrode my worries into a whelming paste, yet these are, regrettably, far away places. I frequent these happy places, sure, but my memories elapse more time than that which I have spent in these places. Music allows me to carry these places around with me, wherever I may roam. “Bat Out Of Hell” by Meat Loaf forever holds a motorcycle to Colorado, as I was truly deafened by Meat’s foghorn vocals and personality for the first time in a balmy summer night’s drive through some valley whose name escapes me. Led Zeppelin’s “D’yer Mak’er” speaks to me of foot-slicing clamshell beachfronts, Dad trying his damndest to deafen me with Led Zeppelin in the rental car, and whiling hours drowned on that driftwood deck. I find the King in me whenever I pick up that there hairbrush in the bathroom and belt, belt as freely as the mighty Mississippi River flows. “Patch It Up,” “Blue Suede Shoes,” “Steamroller Blues,” and “Fever” purr and yelp around the room, terminally ill with suave, when I’m feeling up. “If I Can Dream,” “Bridge Over Troubled Water,” “American Trilogy,” and “You’ve Lost That Lovin’ Feelin’” croon and boom through the hallways when I’m feeling like the sky above. I am as much myself while belting Elvis to pictures on the wall and motes of dust as I am writing poetry to no one in particular. However, if my musical mind is a mountain, Elvis Presley makes up little more than the babbling brook rushing between the rocks that I scrub off my worries in. Meat Loaf is the foothills, the base upon which rests my musical perspective. Sturgill Simpson is the renegade wind that whistles through the hills, tossing me hither and thither as I make my merry way up the mountain path. In the forest of rock n’ roll, the wind takes on more of a Led Zeppelin flavor, rustling the Beatle pine needles. The rocks upon which I scrape my hiking boots are the bones of the bands that built the tastes I enjoy today. Bands like Nirvana, Styx, and Deep Purple, which once shone me the colors with which I view the forest today, yet get trampled nowadays in my search for the more exotic indie elixirs. If my musical mind is truly a mountain, then surely for every stone this metaphor turns over lie another taunting ten. Then music, unlike any physical happy place, must surely forever evolve, must be at the whim of the beholder and drive the behest of the spirit, must sculpt the mountains of the mind and scythe paths for one to meander, to sprint, to cower, praise, sleep upon, to stray from. Well, it holds this precedent to me, at least. Music has also upheld the standard upon which I interact with other people. What sets music apart from any happy place is that music builds the places into the palaces of peace that they are in my mind. By Lung (3/4/2019) *Lung is an English-language Learner! On Jan. 20th, 2019, I experienced a phenomenon when the world stopped spinning, and the universe halted to a finite. I have had many perfect memories in my life, but not as unrivaled as this one. I’ve never felt more desperate for time to stand still and for picture-perfect moments to last. I lived only in that moment: cherished and content and peaceful. It was my two year anniversary with my boyfriend who is more like my partner in crime than a lover. He took me to Gussie Field Watterworth Park in Farmers Branch, Texas to share a “treasure” that he found. Although I was skeptical about going to a park on an evening when the weather dropped as low as 32 degrees, I still followed him, ready for an adventure. When we arrived at our destination, I opened the passenger door only for the harsh wintry breeze to slap me into regret. I scanned the scenery to recognize that we were the only people insane enough to occupy a park when the weather could freeze a person whole. The flowers have wilted into brown garments, and even sheets of ice were floating lazily on the pond. I was soon disrupted of my thoughts, when he grabbed my hand and pulled me into the middle of one of the many trails toward what looked like a box from afar. As he stopped and let go of my hand, I was face to face with a tiny wooden cabinet covered in a peeling paint of baby blue. It contained many books of different genres on its mini shelves, and I looked up at him in surprise. Knowing he wasn’t one to read but to kick soccer balls, I was even more astonished when I saw how his eyes twinkled like stars by the sight of books. After we both grabbed a book, we sat down on one of the wooden benches to enjoy each other’s presence and read silently as I drowned in peace. Soon after, when the sun began to set, the sky was tinted with an array of pink, orange, and yellow. The clouds boasted with mystical colors and the pale glow of the moon was beginning to show. Hand in hand, we walked back to the wooden box to return the books to their shelter. As we placed them onto a shelf, he pulled my shivering body into his jacket and wrapped his arms around me. As I placed my head onto his chest, from deep inside my chest, through every cell of my body, the warmth welcomed me like an old friend. There we stood, under the glorious paint, two kids ready to face the world. Then I realized, it really was a treasure. Amber Counts teaches AP English Literature & Composition and Academic Decathlon at Lewisville High School. She believes in the power of choice and promotes thinking at every opportunity. She is married to her high school sweetheart and knows love is what makes the world go around. Someday she will write her story. Follow Amber @mrscounts. The universal message of the conference did not so much present new ideas as it did combine them and clarify that we cannot wait any longer to act. We must reach each of our students where they are, provide them with the representation they need and deserve, and encourage them to add their own voices to the world. We have embraced diversity, equity, and representation in a variety of ways, but the time for the best practices to coalesce into purposeful change across schools is at hand. My book haul from NCTE 2018 – I can’t wait for my students to read these! As I walked through the exhibit hall, admittedly searching for free books to take back to my students, I heard two main ideas – to quote Kylene Beers and Bob Probst – “again and again.” By absorbing the voices around me over the four days of the conference, I was able to discern what teachers, who attended a wide variety of sessions, thought. One of the most common ideas expressed was that NCTE presenters were “preaching to the choir.” Of course, this is true to a great extent. Teachers who love learning, who support choice, who engage their students in meaningful instruction, who believe in the power of writing workshop: these are the teachers most likely to attend the conference, and, more specifically, the sessions that explore these ideas. Teachers who believe in the humanities love the young humans we teach, and we will always seek to improve for their benefit and the benefits to society. This is no way diminishes the power of these workshops or their presenters, for they offer the keenest insight and carefully collected research to support best practices in teaching, and though I admittedly enter sessions predisposed to agree with much of what I hear, I always leave with new ideas scrawled in the margins of my notes. Like many others, I always leave feeling renewed, reinvigorated, and inspired, and I wish every ELA teacher could feel this way. This brings us to the second most common idea expressed throughout the exhibit hall lines: how do we take these ideas back to our schools and inspire those who weren’t at the conference? I heard several teachers – both in sessions and while milling about – who said things like “I wish [so-and-so] from our department could hear this.” The truth is: we all know teachers who need to hear the messages from the conference, and the difficulty lies in how to offer the essence of what we have gleaned in a palatable manner. Some ideas are not well-received by teachers entrenched in established practices, and we must balance the urgency with which shifts need to occur with the tact and professionalism that our well-meaning colleagues deserve. I had the opportunity to speak with Amy Rasmussen about The College Board’s stance on shifting away from a focus on the canon to include more contemporary and diverse texts, and she offered an analogy that I wish all could hear: we don’t expect doctors to ignore research in favor of the practices they personally prefer, and when one of their primary research-based organizations like the American Medical Association or the New England Journal of Medicine offers guidelines, those are adopted as best practices. Can you imagine if they didn’t? We’d still have doctors bleeding us for pneumonia. So, as I continue to synthesize all I learned at the conference and develop my own lines of inquiry, I leave you with these questions: why don’t we expect all ELA teachers to follow the research and vision of NCTE? Why can’t we confidently return to our campuses as ambassadors of ELA and NCTE and share what we’ve learned with our peers? Will we let the established system and soft bigotry continue to deny true equity to our students, or will we carry the spark of progress back to our campuses? I, for one, plan to stoke the fire. 1 I would love to offer due credit to the speaker who discussed the problematic idea of “empowerment,” but I cannot find the connection in my notes. If you can offer proper attribution, please add it in the comments. Every few months, I notice a meme recirculate with some variation of “Judging teachers on their students’ test scores makes as much sense as judging farmers on their crops without accounting for drought, freezes, or disease.” Still reflecting on my students’ lackluster AP scores as I sat down in the dentist’s chair this morning, I considered this meme. Then, like most teachers I know, I still wracked my brain trying to figure out what I could do differently to help my students score higher on that exam. As I mused, and chastised myself for taking their scores harder than I should, I endeavored to distract myself a bit by trying to remember the other meme out there that connected the professions of dentistry and teaching based on clients’ results. Ultimately, I looked it up when I got home, and it reads: “We don’t blame dentists when we don’t brush properly and we get a cavity. So why do we blame teachers when kids don’t pass because they don’t study?” Or read enough prior to twelfth grade, I thought. My cleaning ensued – painfully, I might add, as my technician was unnecessarily rough, and I wanted to ask her if she remembered that a person was attached to those teeth, but I found it too difficult to ask such questions with someone’s hands in my mouth. I waited for the post-cleaning check-up with the dentist, knowing the only question I had for him was about the dark staining I’ve been experiencing lately despite my careful brushing and (sometimes) flossing regimen. During the 3 minutes he spent with me (I see why he earns the big bucks compared to me, I thought cynically) he responded to my question with one of his own. I didn’t hear the rest of what he said because it devolved into chastisement. I didn’t expect him to congratulate me on the steps I’d taken for my overall health in giving up on sodas, and I didn’t expect him to have sympathy for how hard that habit must have been to break, and I didn’t even expect him to think logically about how much less acid was wearing away at my enamel now that I don’t drink soft drinks, but I also didn’t expect to feel as though I had done something so very wrong. That’s when my English teacher brain went back to thinking about what we do (or fail to do) for our students. I thought about how many students have been made to feel “less than” when they want to read a YA book instead of a classic text. Just as my dentist was so set on his vision of how I should live solely focused on the effects on my teeth that he forgot about the person attached to them, how many well-meaning English teachers are so hyper-focused on their well-chosen texts that they forget about their students’ needs? How many forget or do not understand what can be gained with YA or self-selected books? My teeth will continue to stain, I guess. I’ll brush with baking soda once a week to combat that. But I’ve gained better health and energy. I’ve lost the migraines I used to get when I drank colas all the time. And if we allow our students to read what they want and need to read, they might lose content knowledge of some of the classics that we read (or fake-read) in high school, but they will gain an authentic love of reading. They will find connections with characters in their books. They will connect with each other as they enthusiastically discuss their books. They will feel empowered and in control of their lives as readers. Their reading levels will improve. And yes, the test scores will follow. Prescribing all the texts our students read, even when doing so comes from a place of good intentions, works as well as prescribing flossing. Everyone does that at least twice a day, right? Every May, my panic that I have not taught my students enough for the AP® Literature exam, pride and concern as I send my “little ducklings” to fly alone into the exam room, and eager anticipation of the memes flooding Twitter from the East coast testers (which I never, ever re-tweet), is quickly followed by the nervous energy of my students as they visit my classroom after the test. Of course, human nature dictates that they want to relive every moment and consult with their peers about how they answered different questions, but my duty to the College Board prompts me to remind them not to discuss specifics about the exam itself. Instead, I urge them to talk through their feelings and reflect on what they might feel good about, such as writing 3 complete essays. Each year offers its unique triumphs and hair-pulling challenges. “The Juggler” poem a couple years back stumped even my most adept analyzers, but they did have fun crafting juggling metaphors for the remainder of their senior year. Thus, I have come to anticipate the perplexed reactions to one or more of the essay prompts on the exam. 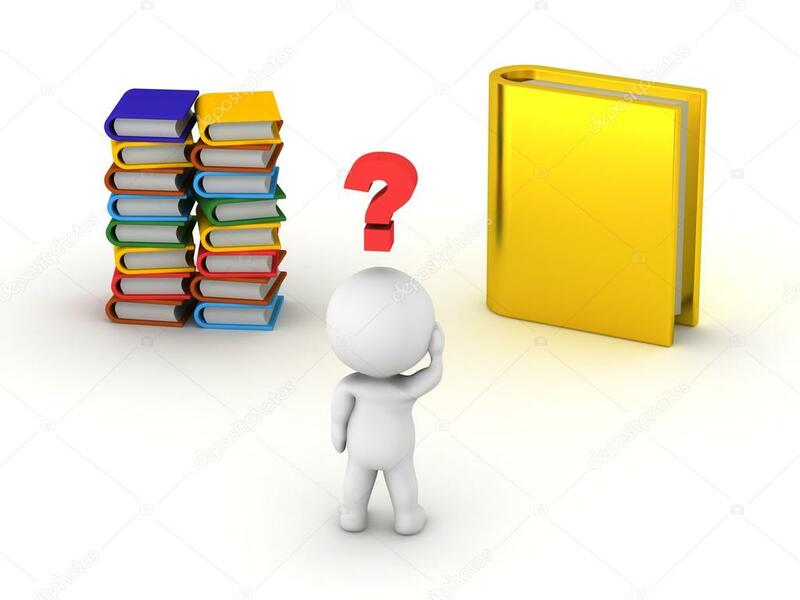 A safe question I often ask to avoid specific test-discussion is: what book did you choose to write about for the Q3 essay? While I’ve learned that it is difficult to gauge how students actually performed on the exam based on their immediate self-assessment, I know that over-confidence – “it was easy” – is almost as bad as total pessimism – “I only wrote 2 of the 3 essays and the multiple choice was killer.” But that one question about book choice tells me a lot. It tells me about their overall confidence level, sense of preparedness, and even what level of enjoyment they experienced during the test. Yes, enjoyment. As my course moved away from a model in which I assign specific texts (so we can experience them together) and toward choice (so students can shape their own experiences, with support), my students have increasingly come back talking excitedly about which book they wrote about on the exam. And there it was. A vindication of choice in the AP classroom. Scores will not be made available for a couple of months, so maybe all those passionless (and I’m going to guess, formulaic) essays about Beowulf will be strongly written and score higher, but what about the passion for reading? My students chose to read those rich texts, and when push came to shove during the exam, they chose to write about them because they saw the value in the book – not because someone told them of the book’s value. Choice continues to be a source of contention in many English departments, but I cannot understand why. Choice does not mean that students cannot read from the canon. In fact, my students always choose both canonical and contemporary works “with merit” through the course. Teachers can set parameters for choice by offering text sets that connect by literary era, theme, heroic journeys, archetypes, and so on. Choice can be applied to shorter text selections instead of novels. So much has been written on why choice works by bigger fish in the English sea than me, so I will just leave you with this: my students were joyous when they spoke about writing the 3rd essay on a mentally exhausting, hand-cramping exam, and it is because they chose what to read and experienced the autonomy of deciding which of their books they felt they could write their best essay on. Since my goal is to create readers and writers, I could not ask for better evidence that choice helps them toward this goal. Before introducing metaphysical poetry to my AP Literature students, I often take a page out of the fictional Professor Keating’s book. My students and I take a little “field trip” to the front of the school, where photographs of students dating back to the first graduating class of 1901 line the foyer. I ask my students to write down their observations. When we return to class, I ask them to share. They often cite racial homogeny right off the bat. Our student population is incredibly diverse, and they cannot imagine an exclusively white school. A discussion about desegregation of schools inevitably follows, as does a conversation about the surprising number of females in the early graduating classes. We also talk about the devastation the World Wars had on the young men in those faded photographs. How many of them survived? They wonder: how did our graduating class grow from 6 to approximately 1100? After what never fails to be a rich conversation, and the students’ realization that they have walked past those photos everyday without ever looking at them (a life lesson in itself), we watch the film clip from Dead Poets Society in which Keating, played by Robin Williams, engages his students in a similar activity. He explores the concept of “carpe diem” and mortality. Following this clip, I invite my students to write their response to carpe diem. They might write about what it means to them, whether they embrace this philosophy, or any other thoughts or feelings that the saying evokes. After a few minutes of writing, I ask for volunteers to share their thoughts. In a recent discussion, some students found the idea of carpe diem “frivolous” and thought that people should always stay focused on future goals. To them, “living for today” was short-sighted and irresponsible. This makes sense for teens who are driven to go to the right college and earn the right degree to live a “good” life. Other students said that since none of us are guaranteed a future and we’re “all going to die,” we should do something today: something of value, something productive. Such responses received a great deal of agreement, though students realized that “value” and “productive” are relative, subjective terms. One student wisely noted that we should remember that while we’re trying to live our best lives, others are as well. They discussed the complexities of when the lives of people with different goals intersect. Ultimately, my students saw how their seemingly disparate ideas actually overlapped a great deal, and they separated carpe diem from the trite YOLO idea that many of them initially equated as the same concept. After a 20-30 minute discussion of carpe diem, my students not only understood the concept, but they also understood their relationship to the aphorism as well as its universal appeal. Onward to metaphysical poetry analysis! I shared this teaching anecdote to underscore the importance of setting up and maintaining a safe workshop environment in which students expect to read, write, think, share, and work together to construct meaning. My students fearlessly followed me, willing to discuss observations even when issues such as race were broached. I could have presented them with the definition of “carpe diem” or asked them to draw on prior knowledge as a quick basis for launching into the unit of study, but by giving them the space and opportunity to explore the concept, they built a stronger foundation of understanding that will ultimately translate into better reading, writing, and thinking. We make choices everyday about when to lecture and when to facilitate; when possible, we must “seize” the opportunity to trust our students to delve deep beneath surface-level understandings and reach true depths of meaning.